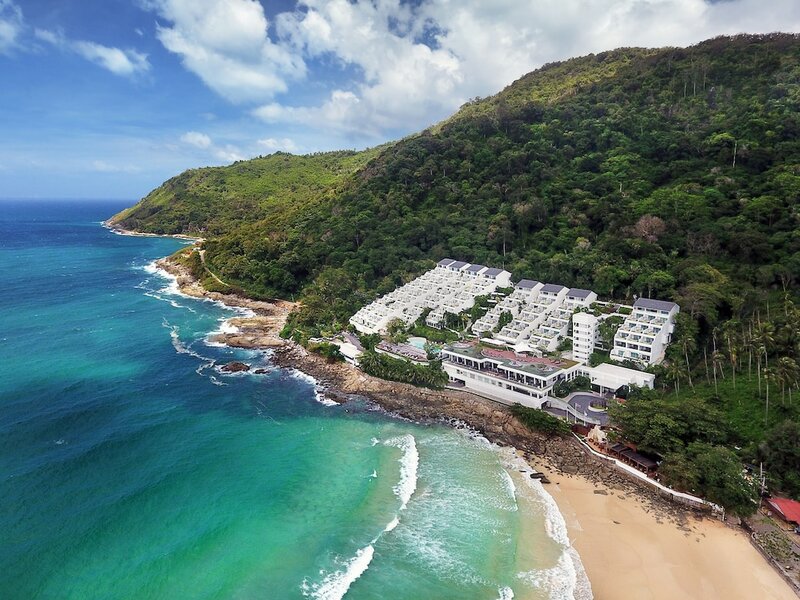 Nai Harn Beach is one of the island's more popular destinations. Once known only to in-the-know locals, it has been very firmly "discovered". However, as the small bay is home to only a few hotels, restaurants and shops, it retains its quiet charm. With The Nai Harn nearby, it is a popular anchorage for boats during the high season. Great for swimming from November to April, care should be taken in the low season (May-October). The calm seas are replaced by strong currents, making it better suited to surfers and kite-boarders. The local restaurants just above the beach make a great place to relax with a sundowner. Further south is Ya Nui Beach, a sandy cove that attracts snorkelers and divers. Another out-of-the way spot nearby is the tiny beach of Ao Sane. Also a great spot for snorkeling, it's reached by taking the road that starts at The Nai Harn car park.